Ovarian cancer is the third most common gynecological cancer in Indian women. The most common gynecological cancer is breast followed by cervical cancer. Ovaries are part of the female reproductive system and every normal woman has two ovaries, one on either side of the uterus. The function of the ovaries is to produce eggs or ova every month in preparation for a pregnancy. Apart from this, they also produce the hormones estrogen and progesterone. The incidence of ovarian cancer is between 5.4 – 8/100000. The risk starts increasing from age 35 and reaches a peak between the ages of 55 – 64. It has the worst prognosis amongst gynecological cancers with is a 5-year survival rate of 45%. This is primarily because most often it is diagnosed in Stage III or IV.The high mortality rates arise because of a lack of definite symptoms related to early-stage disease. There are no effective screening strategies because the exact cause of ovarian cancer is unknown. The risk is increased in women who have never been pregnant. An early menarche and late menopause may also increase the risk. Carriers of the BRCA1 and BRCA2 gene mutations have a higher risk of developing ovarian and breast cancer. Families with LYNCH II syndrome are also at high risk of developing ovarian cancer. Women with a history of breast cancer have a higher risk of ovarian cancer. Post-menopausal hormone therapy is associated with an increased risk in the long term. What is the relationship between Diabetes and Ovarian Cancer? Diabetes affects more than 72 million Indians. World over, diabetes affects 199 million women and it affects about 14% of Indian women. 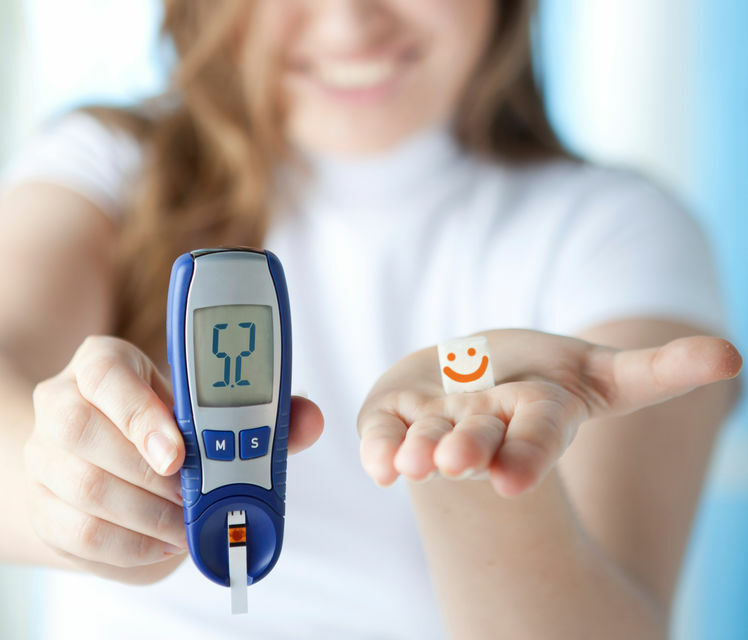 Many studies have suggested that diabetes is associated with an increased risk of cancer in several sites of the body. This association with cancer was noted as early as 1914. A particularly strong association with endometrial, pancreatic, liver and colon cancers have been demonstrated, although the exact reasons for this are not understood. Studies of the relationship between diabetes and ovarian cancer have in the past yielded in consistent results. However, several studies in recent times have shown that there is an association between diabetes and the increased incidence of ovarian cancer. Several mechanisms have been postulated to explain the links between diabetes and cancer risk. A number of studies have documented an association between increased sugar levels and cancer, although the exact mechanism is not understood. It is also postulated that diabetes influences the neoplastic process by mechanisms including an increase in blood insulin levels and by along standing inflammatory processes. Fact: Not true. About 20% of women with ovarian cancer are less than 50 years of age. Fact: Removal of the uterus tubes and ovaries reduces the risk of ovarian cancer by 95% but there is still a 5% chance of ovarian cancer cells developing. There is also a risk of developing peritoneal cancer. Myth 3: Pap smear can detect ovarian cancer. Fact: Wrong. There is no routine screening test for ovarian cancer. Pap smear is a screening test for cervical pre-cancerous cells. Myth 4: It is easily detected in the early stages. Fact: Ovarian cancer is a silent disease in the early stages. It is associated with non-specific symptoms such as bloating of abdomen, pain, feeling full, passing urine frequently. The important thing is to be aware of these symptoms and consult a gynecologist if they are persistent.